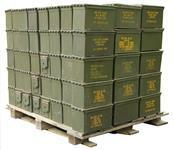 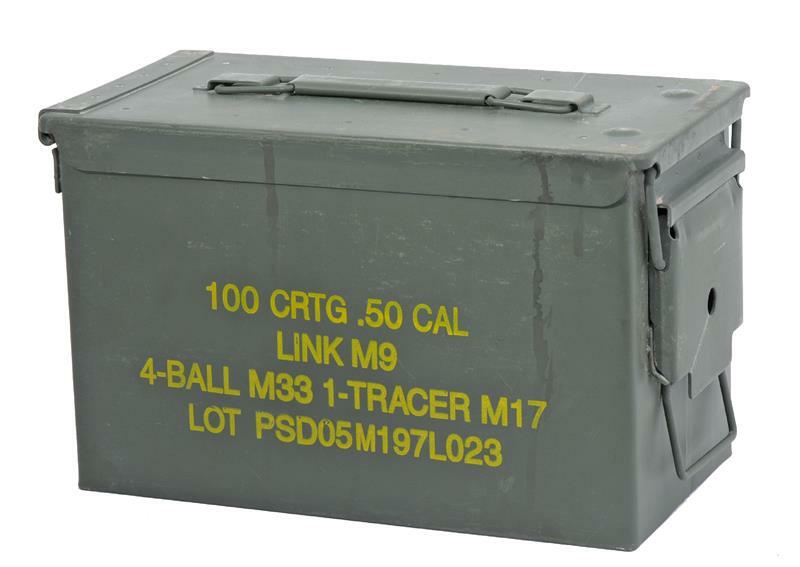 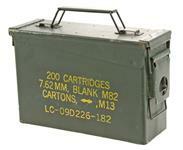 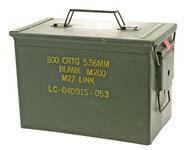 This is a genuine U.S. military surplus ammo can. 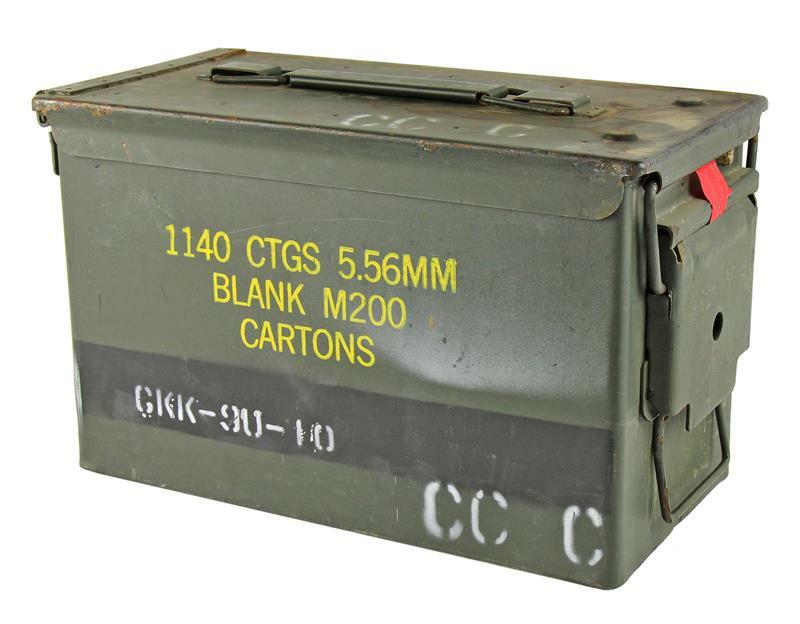 The can is airtight, watertight and features a removable lid with rubber gasket, flat folding handle for carrying, and heavy gauge steel construction. 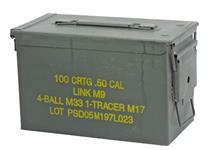 The olive drab steel can measures 5-1/2" x 11" x 6-3/4" and weighs 5 lbs. 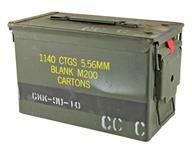 Good condition can. 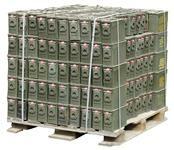 May have larger areas of surface rust and/or minor dents. 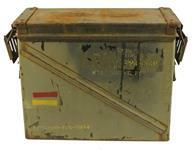 May also have stickers or paint on the surface but will be fully functional and watertight.